Our program benefits home sellers and buyers by connecting them with greats agents. We are compensated when you secure new clients and you get commission when you accomplish their accomplish their goals. With our service, everyone has to do their part and the result is successful Real Estate transactions. I've been using these guys as one of my lead sources for a few months and I have to say I'm very pleased with our results. They have a great strategy and are on top of their game. The leads I receive are quality leads and come in teed up, from there it's on me to convert and close. 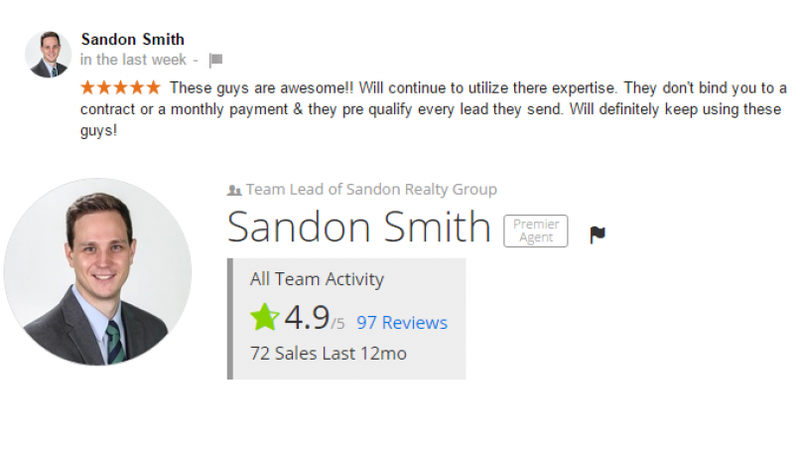 I would highly suggest agents in other markets check them out. I started receiving leads in March, by mid April one of those leads was under contract! These are quality leads, every lead comes in verified. Their Customer service is excellent, they are always there to answer any questions you may have. Michael Denzy has being very helpful. I highly recommend Realferrals. Realferrals has proven to be one of the best decisions I've made as far as lead generation goes! It took about a month and a half to receive my first lead, BUT it was definitely a quality lead and I'd much rather receive quality over quantity. It is an extremely affordable and very worth it! "I am a Real Estate Broker and Investor ! This is a Turn-Key System that has aligned me with potential Buyers and a top rated Broker to sell a property I own. The service has been awesome, as well, and they are always willing to answer questions and help me ! I highly recommend this product to the Real Estate Professional Community!!." "The "Cliff Notes": Realferrals, has a solid grasp on and about "Real Estate", they truly comprehend what solid customer service is about. Their team uses state of the art, marketing systems to obtain leads, both buyers and sellers. Reach out, ask them to review their services and take it from there. Best of EVERYTHING. -Shawn"
Space and Zip Codes are Limited!